Story is conflict - a person with a problem. 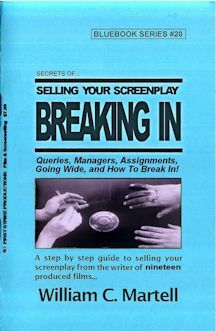 That seems pretty simple, but what ends up being difficult is sustaining that conflict for 110 pages of screenplay. The first thing you need is a central conflict that will go the distance - a problem that is not easily solved. 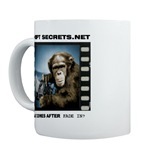 If your protagonist can easily get out of trouble, they will... and the film is over. Act Two is the conflict act. 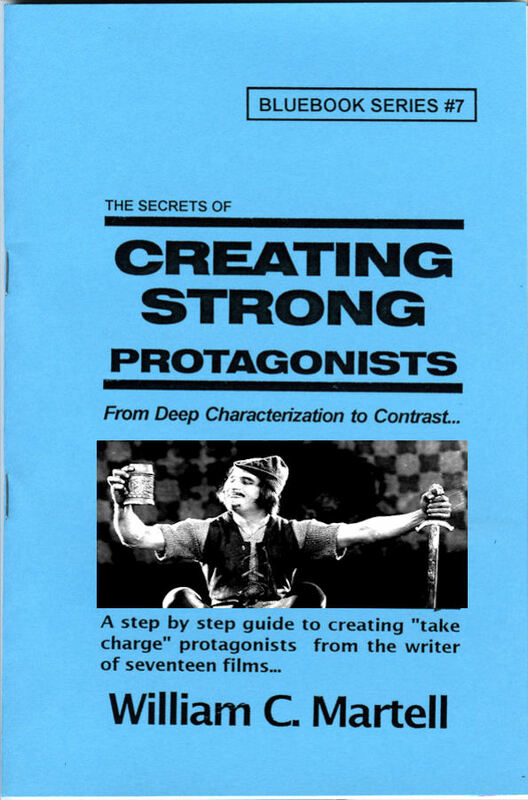 Once you have your central conflict, you need to come up with a bunch of scenes where your protagonist struggles with that conflict. Not THINKS about struggling - they have to get in there and do something. Nobody watches Monday Night Football for the Pregame Show and the Postgame Show... they tune in to see the football game. They want a good game - evenly matched. If one team is much better than the other there is no conflict, no struggle... it's boring. One team scores all of the points... as if the other team isn't there. Why even have a game? We want them to fight for every yard. Nobody watches the game for the time between the end of the last play and when the center hikes the ball - they only care about the part where the ball is in play. Everything else is just preparation for the exciting part. When one team is trying to gain yardage and the other team is trying to stop them. When the ball isn't in play, there's no struggle and we might as well take a bathroom break. Act Two of your script is a constant struggle... and whatever your protagonist does only makes it WORSE! Gets them DEEPER into trouble. 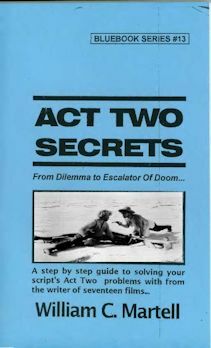 Because Act Two is quicksand - the more your protagonist struggles to get out, the deeper they are pulled into the quicksand! When an Act Two isn't working, it's usually because there is no struggle. There may be scenes with conflict, but the conflicts are introduced and then quickly resolved. The actual amount of conflict on screen is minimal. It's over in an instant. A play that's over in a second with the quarterback getting sacked right after the snap. You want to focus your Act Two on the conflict - the back and forth struggle to escape the quicksand pit. The protagonist tries to pull himself out but the quicksand pulls him right back in. The struggling pulls him deeper into the pit. The more he fights, the deeper in trouble he gets. But if he stops fighting, he still gets pulled under. In THE BOURNE IDENTITY Jason Bourne is found floating in the ocean with no memory of who he is. 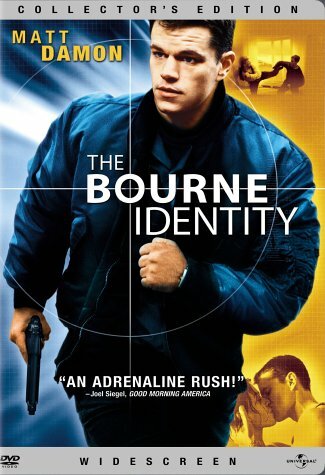 The central conflict/question for Bourne is "Who am ?" - that's the question which propels the story. It's not a question with a simple answer - you can break it up into a series of questions... each a step to the answer of the main question... and each providing further questions. Part of Who Am I? is his name. When Bourne goes to the bank and opens the safety deposit box, he finds a passport in the name of Jason Bourne. Now he knows his name... but the passport includes a new question (his address - What kind of place to I live in?) And the safety deposit box contains a couple of other great questions - a gun, money, other passports. These serve to ask the question "What kind of person am I?" The film is filled with questions - What kind of person has a bank account implanted in their hip? "How come I know the best place to find a gun is the cab of that truck?" Here's where the quicksand comes in - the more Bourne learns about himself, the more dangerous he becomes to Treadstone. The people who KNOW who Bourne is are the same people who are trying to kill him. Every clue he finds to his own identity takes him another step deeper into trouble. He can not find out who he is without putting his life in danger. The more he struggles to get out of the quicksand, the deeper he is pulled into the quicksand... and the more agents Treadstone sends to kill him. Searching for the solution just causes more problems. Denial: Protagonist has a painful emotional problem they don't want to face. If they could face that emotional problem, they could find the way to resolve the plot problem. The more Bourne finds out about himself, the less he likes himself. He starts off thinking that he's a nice guy, but every new clue about his identity makes him look like a political assassin - a government sponsored terrorist. He begins to fear himself, fear the kind of person he really is. 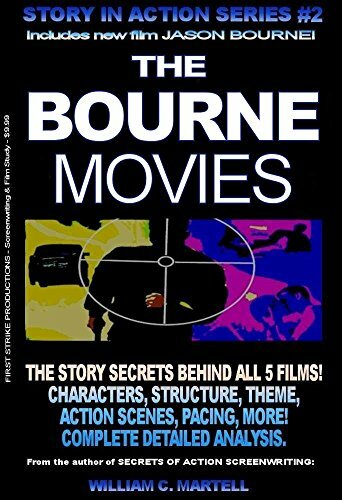 This gives BOURNE an emotional core... and makes all of those fight scenes a struggle between his violent nature and his new self image. Dilemma: Resolving the problem means the protagonist needs to pick one of two wrong choices. Either way he's going to get hurt. So he tests the waters of each choice without committing. Until he picks one, he can't resolve the problem. This is the main quicksand pit in BOURNE... does he go back to hotel he stayed in, knowing they may be waiting for him? He needs to know who he is, but every time he digs around in his past life he just stirs up trouble... the Treadstone assassins come after him. He can be safe if he hides, but then he'll never know who he really is. There is no right answer. The more Bourne finds out about himself, the less he likes himself and the deeper in trouble he becomes. It's quicksand! Remember that the important part of Act Two is the conflict, the struggle. The scenes that set up the conflict and resolve the conflict are necessary, but the audience came for the conflict. While the protagonist is struggling, his life is interesting... and entertaining. We hope that he will solve his problem, but fear he will fail. Is your Act 2 all about the conflict? Is it filled with struggle for the protagonist? Do we fear the protagonist will fail... and *do they* fail? Does that quicksand pull them deeper and deeper into the conflict? More on this in the ACT TWO Blue Book! 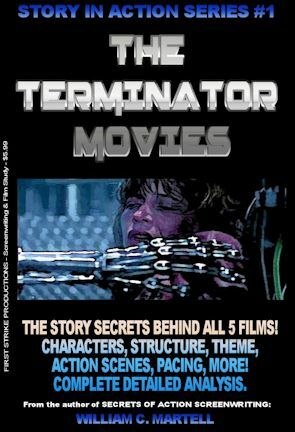 All Six Movies analyzed! 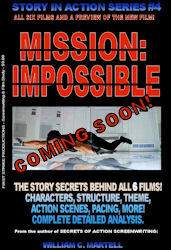 All of the mission tapes, all of the �that�s impossible!� set pieces and stunts, the cons and capers - and how these scenes work, the twists and double crosses, the tension and suspense (and how to generate it), the concept of each film as a stand alone with a different director calling the shots (broken in the sixth film), the gadgets, the masks, the stories, the co-stars and team members (one team member has been in every film), the stunts Tom Cruise actually did (and the ones he didn�t), and so much more! 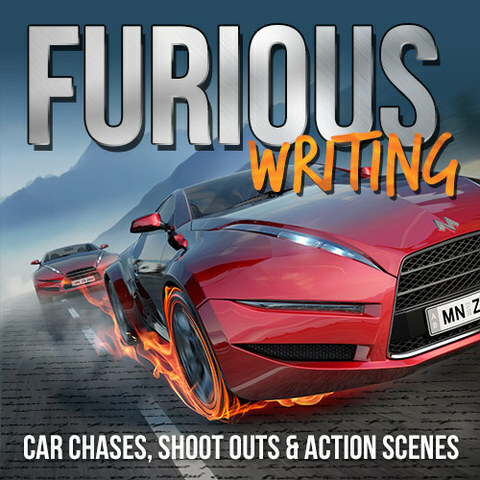 Over 120,000 words of fun info! 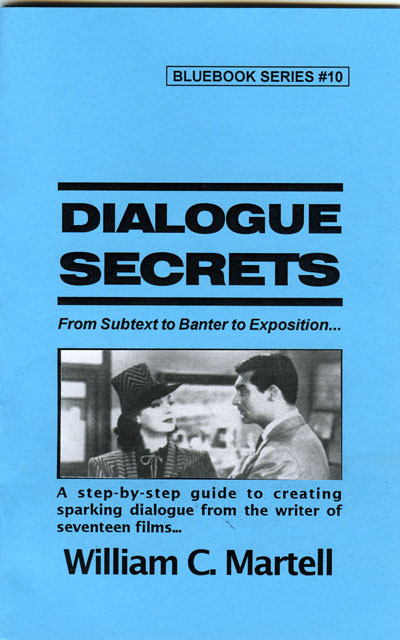 Most screenplays are about a 50/50 split between dialogue and description - which means your description is just as important as your dialogue. It just gets less press because the audience never sees it, the same reason why screenwriters get less press than movie stars. But your story will never get to the audience until readers and development executives read your script... so it is a very important factor. Until the movie is made the screenplay is the movie and must be just as exciting as the movie. So how do you make your screenplay exciting to read? 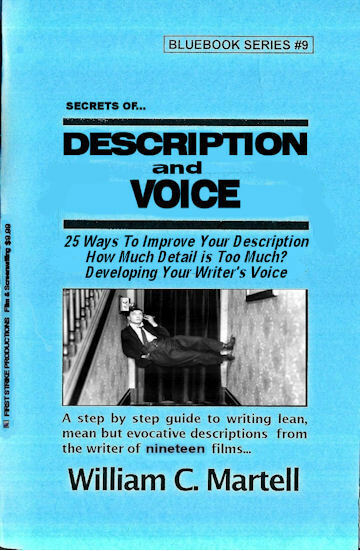 Description is important in a novel as well, and the �audience� does read it... how do we write riveting description? 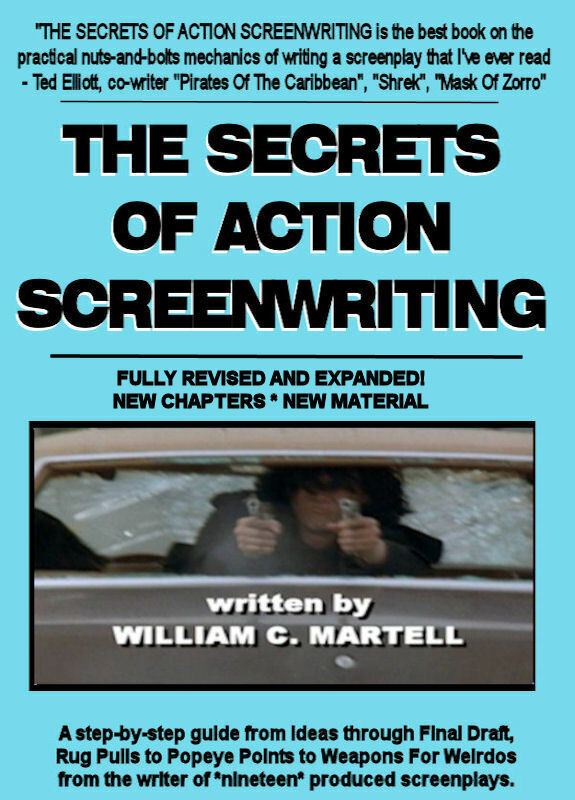 William Goldman says the most important single element of any screenplay is structure. 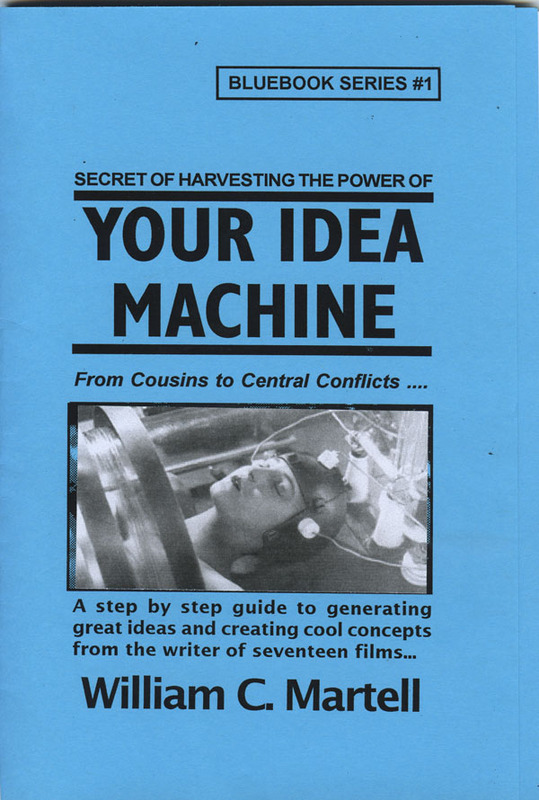 It�s the skeleton under the flesh and blood of your story. Without it, you have a spineless, formless, mess... a slug! 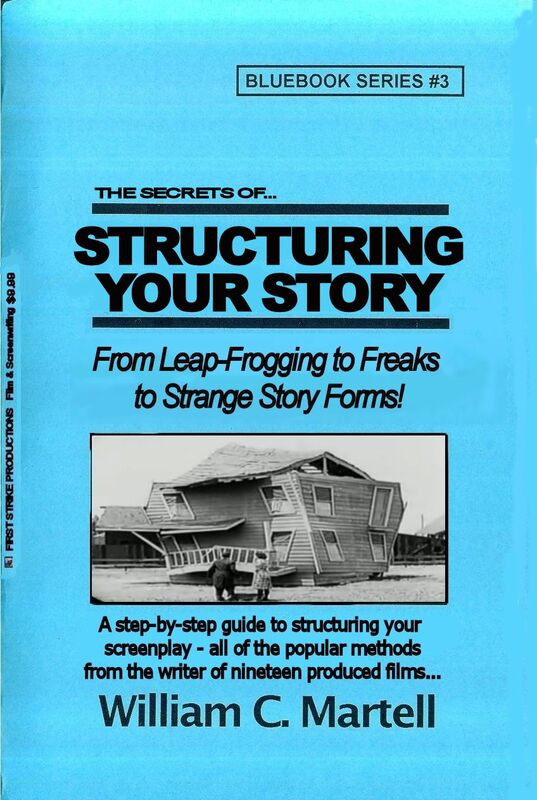 How do you make sure your structure is strong enough to support your story? How do you prevent your story from becoming a slug? 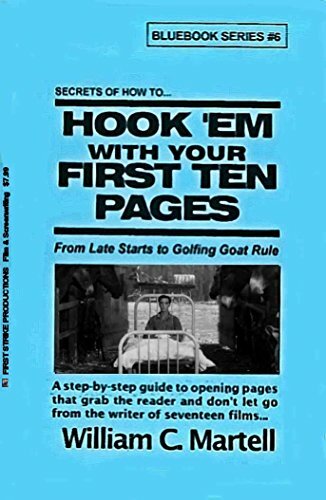 This Blue Book explores different types of popular structures from the basic three act structure to more obscure methods like leap-frogging. We also look at structure as a verb as well as a noun, and techniques for structuring your story for maximum emotional impact. 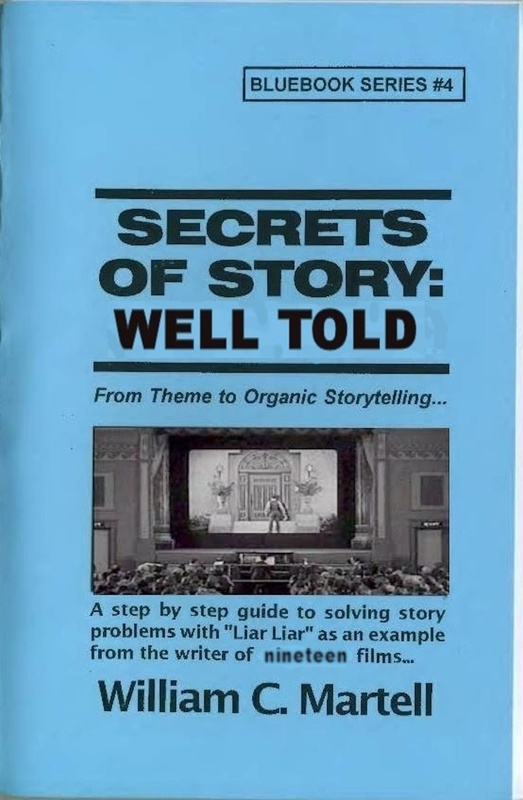 Most of the other books just look at *structure* and ignore the art of *structuring* your story. 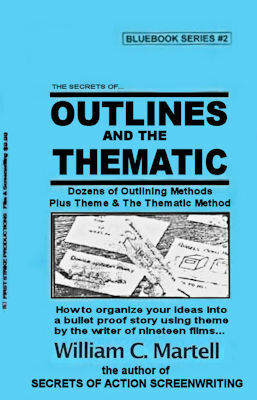 Techniques to make your story a page turner... instead of a slug! 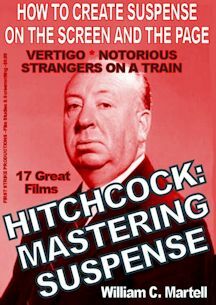 Alfred Hitchcock, who directed 52 movies, was known as the *Master Of Suspense*; but what exactly is suspense and how can *we* master it? How does suspense work? 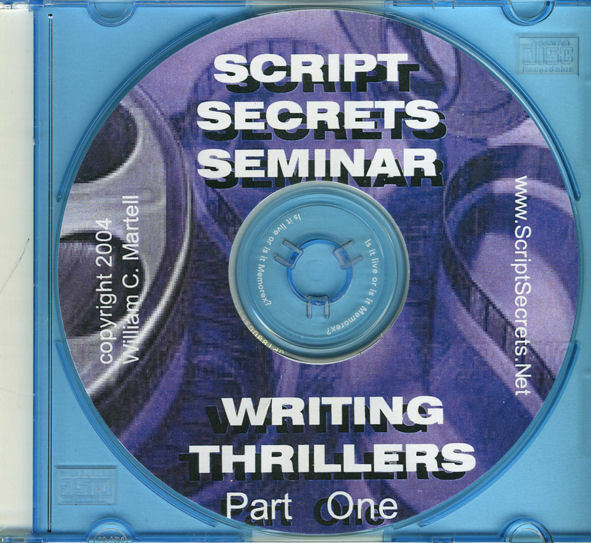 How can *we* create �Hitchcockian� suspense scenes in our screenplays, novels, stories and films? 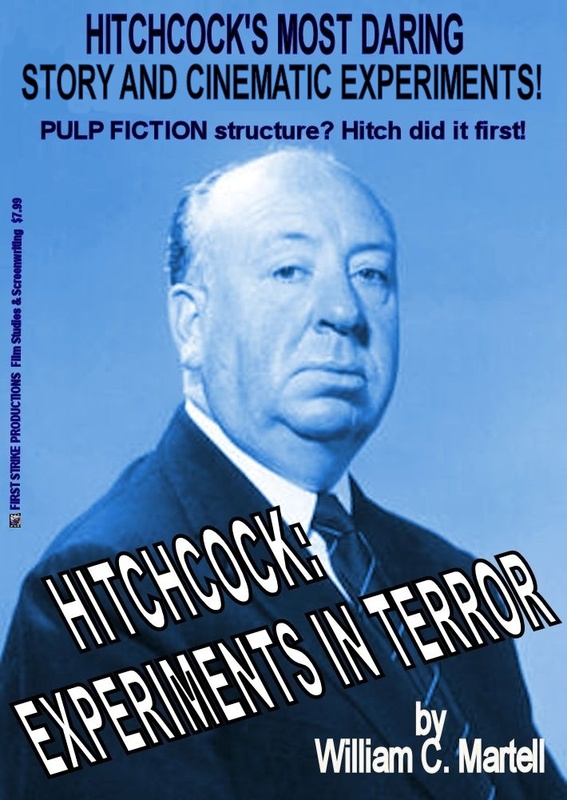 This book uses seventeen of Hitchcock�s films to show the difference between suspense and surprise, how to use �focus objects� to create suspense, the 20 iconic suspense scenes and situations, how plot twists work, using secrets for suspense, how to use Dread (the cousin of suspense) in horror stories, and dozens of other amazing storytelling lessons. From classics like �Strangers On A Train� and �The Birds� and �Vertigo� and �To Catch A Thief� to older films from the British period like �The 39 Steps� and �The Man Who Knew Too Much� to his hits from the silent era like �The Lodger� (about Jack The Ripper), we�ll look at all of the techniques to create suspense! 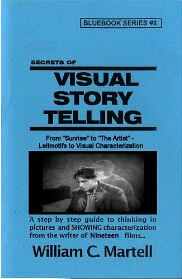 Screenwriting books have been around as long as films have. 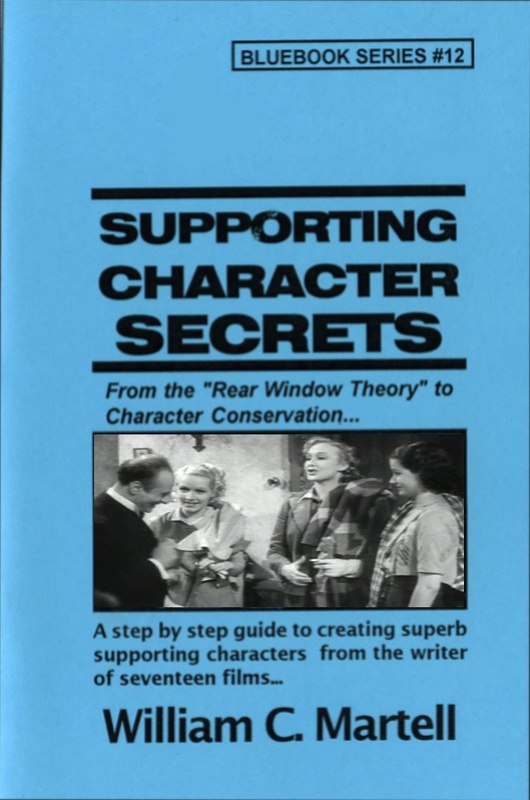 This series reprints vintage screenwriting books with a new introduction and history, plus new articles which look at how these lessons from almost 100 years ago apply to today�s screenplays. 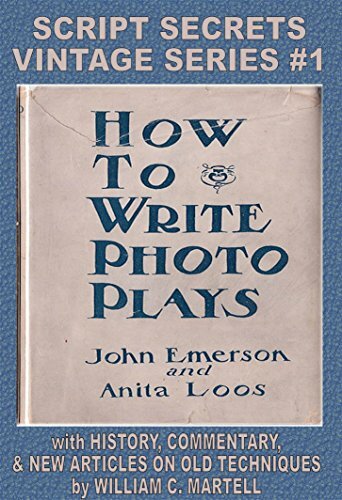 Anita Loos book is filled with information which still applies. 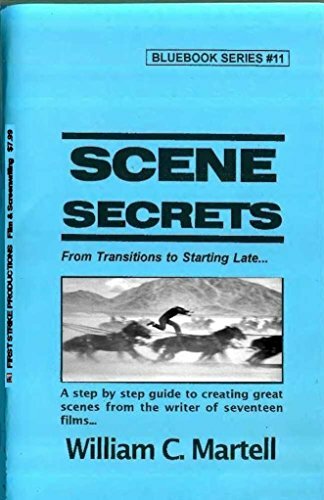 In addition to the full text of the original book, you get the full screenplay to Miss Loos' hit THE LOVE EXPERT, plus several new articles on the time period and women in Hollywood.